The fashion world is pretty huge. There are fashion designers, marketers, merchandisers, producers, coordinators, stylists, etc. who all have something very unique about them. In my opinion, fashion stylists have one of the coolest jobs; picking out what you, as the stylist, believe the model(s) should be wearing for a media piece that the public will see. Meet Demetrius Selby Jr., also known as Deejay, who is changing the game of styling by using his ideas to create art in the form of fashion, while starting his own clothing brand. Demetrius is a wardrobe stylist from Queens, New York who buys and sells clothes in the cities of Baltimore MD, and in Savannah, GA. He came to Baltimore to study Fine Arts at Morgan State University. While there, Demetrius teamed up with film-maker Jvonne “Hue” Greene, who has a huge interest in fashion photography, to build portfolios and they planned to continue building their names in the industry to raise funds for film projects. Since money does not fall from the sky, Deejay knew he had to make money in order to build his success. Also, he wanted to build a brand off of his styling trunk, named Cloud Negative Nine; this is why Flytimezz Boutique was created. 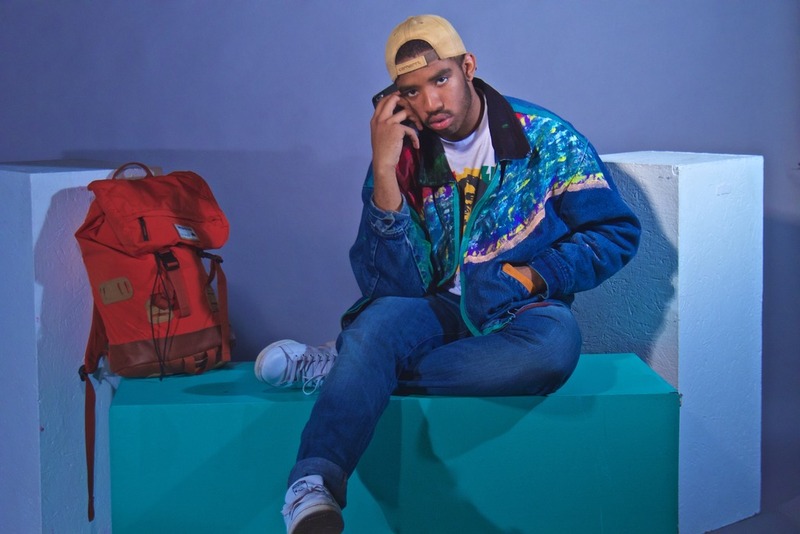 Demetrius decided to open up an online store with Depop market called "Flytimezz Boutique," a hub of vintage clothing inspired by the color schemes and overall liveliness of the 80s and 90s. I know I'm not the only one who has noticed the 80s and 90s trends that returned in this generation. Flytimezz is bound to change the fashion world with its fashion-forward clothing. "Our goal is to restore the 'for us by us' mentality that shook urban America’s foundation and placed hip hop in the light of the professional world," explained Demetrius. The 90s was one of the best times of fashion history. This was when crop tops, mom jeans, overalls, and so many other pieces of clothing were huge fashion trends; I am not surprised that these trends resurfaced. Check out two exclusive looks to see how impressive Demetrius' work is. All of these looks were photographed by Jvonne Green, whose way of capturing detail helps you see how well the color schemes work together. Check out Deejay's and Jvonne's Instagram, also Flytimezz Boutique, to see how well this duo is at creating a new wave of fashion styles pictured in the most vintage and high-toned way. OMG these looks....they're flawless?! I love the bright green coat, it's so classy, and the 90s sort of aesthetic of the last outfit is just on point. Great work Demetrius. I can see you going somewhere with styling. This is soooo dope! I love the first outfit; I love how well the green goes with the shell-pink colored top and blue jeans. Great post! We should discuss a collaboration soon. Thank you Jessica! That really means a lot !